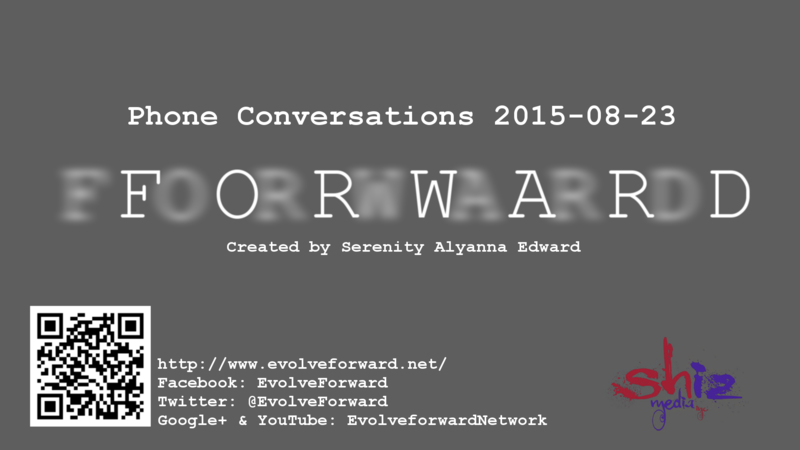 A lot is discussed on the phone, which brings you the Forward Phone Conversations 2015-08-23 08:46 CDT. We will use these recording to help us remember the story line. Our fingers are not fast enough because the ideas are coming so fast, so recording is the best way to archive our ideas. We can use your help, contact us. The parties involved already gave their permission to be recorded. 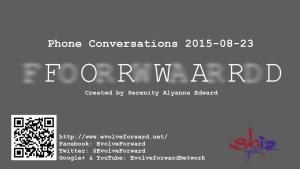 Most of the audio is edited when discussing personal and confidential information. Once the audio file for broadcast is created, the original audio files are permanently deleted.